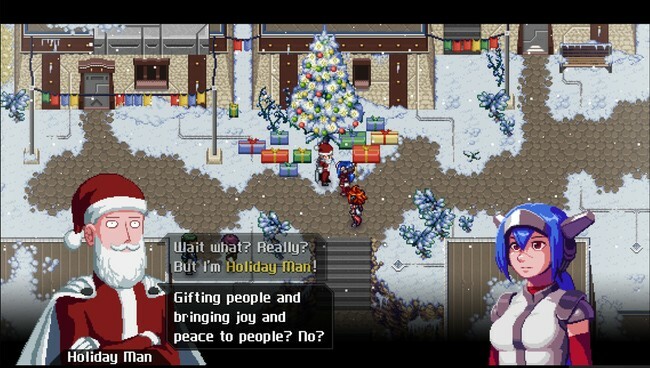 It goes without saying that CrossCode has had quite a storied history. 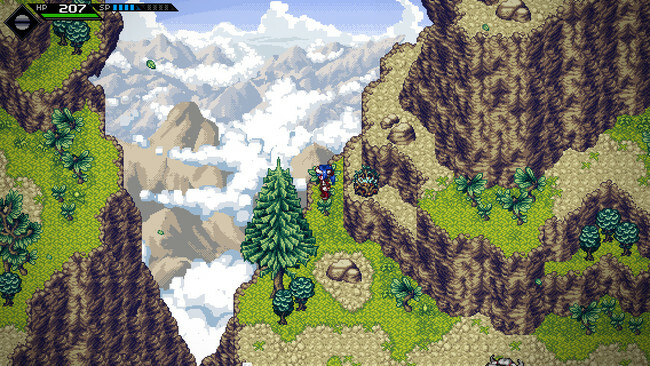 Just like titles including Owlboy and Iconoclasts, the game endured what can only be called development hell while its creators tried to work out the various aspects. Back in early 2015, I first caught wind of the game after discovering it had entered Steam Early Access. Immediately, I was positively surprised thanks to its interesting visuals and beautiful soundtrack (which I'll get to later). 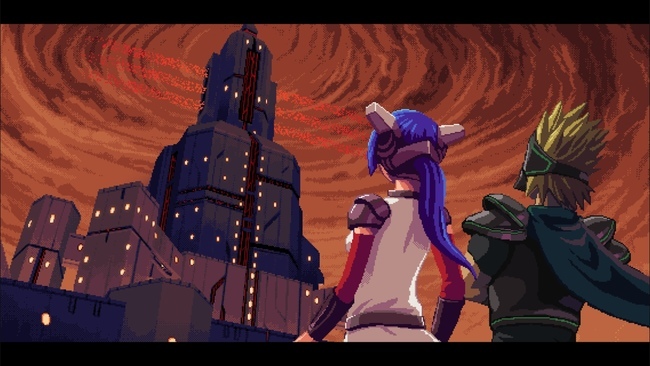 Funnily enough, after checking my inbox, I noticed we had received an E3 2015 fact sheet detailing CrossCode. It's clear the developers have gone through quite a lot in order to put the game into the hands of players but was the long wait truly worth it in the end? First, let's talk a little bit about the overall plot. The story revolves around a very popular MMO called CrossWorlds. Many of the people here are connected to this game through the use of avatars who have the ability to interact with it using all 5 of their senses. Oddly enough, CrossWorlds is actually set on a moon in the same physical plane as the real world. As one can imagine, this starts to cause some real problems once the two worlds collide with one another. It's not completely unlike the game-within-a-game framework of the .hack// series, all of which makes for a very appealing journey from my perspective. You take on the role of a special avatar named Lea who can't log out of the game. She also suffers from amnesia - she can't remember her previous playthrough whatsoever. On top of that, she also starts off as a mute who mostly relies on nonverbal communication while slowly being fed words she can actually use. Yes, this isn't anything particularly fresh, but thanks to some clever writing and interesting meta-commentary, it manages to stay above the fray and keep me invested in the story beats. And once again, that gorgeous soundtrack provided a wonderful backdrop to what was happening on screen. On that note, let's get into the real meat of the game - the combat system. This is really a highlight of the entire experience thanks to how downright satisfying it feels ramping up combos against enemies with big numbers popping off the screen. It almost felt like I was playing a Ys game at times thanks to how fast-paced things can get dashing around the corners of the screen. This is also where the art direction really shines thanks to the amazing sprite work. 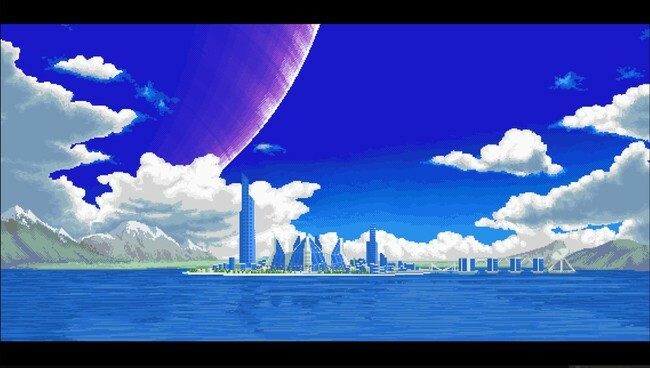 Everything from how well each character animates and the serene landscapes to the imposing look of the bosses really shows how much work went into this aspect of the game just by the presentation alone. It all feeds very well into each other. Over time, you will be able to level up your avatar. Aside from the default boost to parameters such as health, attack, and defense, you also eventually get access to the Circuit. 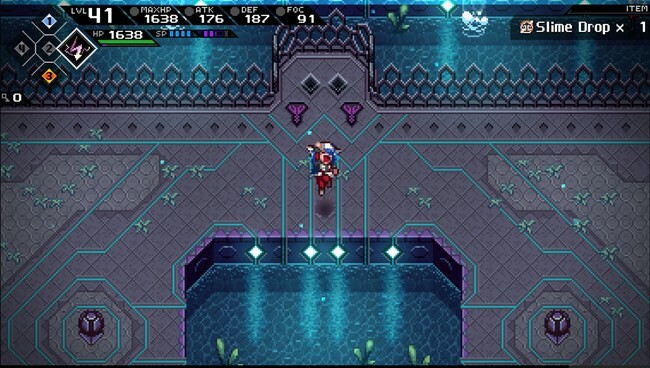 Much like the Sphere Grid from Final Fantasy X, you will earn CP (Circuit Points) every time you level up that can be used to activate circuits on a branching path. These perks range from increasing your attack power to adding certain combat arts (which use SP, or Special Points) to your arsenal. That includes various elemental properties such as fire and ice, which also play into the puzzles of the game. Thankfully, you are able to switch between branching skills at any time without costing any CP, so you don't have to worry about going down the wrong path. In a way, this avoids the issue of ideal builds, but it still encourages players to experiment, all while adding a real incentive to grow your character the way you see fit. Outside of combat, the gameplay is very much a puzzle-driven experience. There will be plenty of moments where you will need to solve your way through a series of rooms that typically involve boxes, switches, and other components that involve opening the next door in some fashion. Honestly, this can get a little tiresome as dungeons can be overly long at times for this very reason. While I tend to have a difficult time when it comes to puzzle solving, I never believed that I was out of my element trying to navigate even the later-stage frameworks. Plus, the game does a pretty good job of taking what you have learned in the past and applying it to solutions. In a way, it was as rewarding as the combat system does when I was able to figure things out which is obviously how it always should be. This is important because the puzzle solving extends to your enemies who frequently require you to figure out how you're going to take them down, whether it involves using the environment to bounce projectiles off of or waiting for their tells. Basically, it all works rather well thanks to the solid level design. Sure, there may be some trial and error thrown in which can at times upset the balance (especially when I just use brute force over strategizing), I still felt obliged to carefully figure things out. While CrossCode doesn't always hit the mark in terms of pacing and mechanic cohesiveness, I found a lot of satisfaction from exploring this amazing sprite-based world filled with colorful characters, smart puzzle structures, and enjoyable combat encounters. That long development cycle appears to have worked out in the end - based on sheer content alone and the low price tag, you are sure to get more than your money's worth.